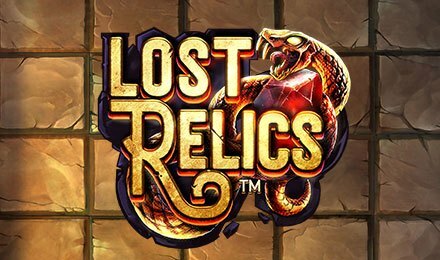 Lost Relics slot is a 5 reels and Cluster pays slot game that takes you to a whole new world to enjoy! Launch the game on your mobile, desktop or tablet at Moon Games to enjoy! Symbols you will come across are: Hearts, Diamonds, Spades, Clubs, Roman Helmets, Daggers and Snakes wrapped around Rubies and Bracelets. And, these symbols combine to form clusters and trigger wins! Place your bets on the Coin Field then get onto spinning! On the Level Field, set your preferred bet levels that will increase your stake. Would you like to opt for Autoplay? Watch the game play hands free by setting 10 to 1,000 auto spins play! Amount of Paylines Selection: Paylines are not available, however, you get to form clusters to trigger wins. Coin Values: Coin values range from the lowest amount of £0.01 to the highest amount of £2.00. The scatter symbol triggers the Free Spins Round of the game. Extra Free Spins: Where one free spin is awarded. Sticky Wilds: Wild symbols are added to the reels and are locked into place. Coin Win: A coin win of 3x to 30x is awarded. Extra Scatters: One of the symbols in a winning combination turns into Scatter which helps to trigger the main bonus feature. Extra Wilds: Up to 15 extra wilds are added in positions that are not part of a winning combination. Coin Wins: Awards a coin win of 3x to 30x to your stake.